The lava was flowing over a hundred feet per day. We were told this was the most visible lava flow since 1995. 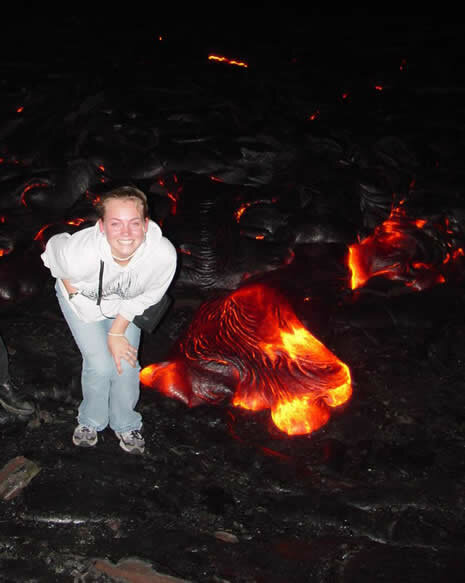 The spot where Sarena is standing was 1000 degrees fahrenheit within minutes.